Abstract: There are two long-standing theories about the pathogenesis of glaucoma – barotrauma and the effect of vascular hypoxia. Currently, it is still unknown whether diminished blood flow is the cause or result of glaucomatous atrophy of ganglion cells and the optic nerve. 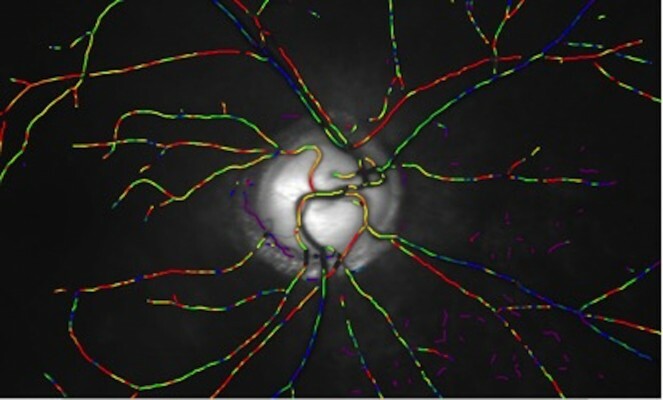 Though many other imaging techniques used to directly assess ocular blood flow have been well studied, they are limited by their inability to directly assess metabolism in the ocular tissues or measure the oxygen carrying capacity in the vessels. Retinal oximetry is a relatively novel, noninvasive imaging technique that reliably measures oxygen saturation levels in the retinal vessels, offering surrogate markers for the metabolic demands of the eye. The clinical significance of these measurements has not been well established. Thus, this review gives an overview of ocular imaging and current retinal oximetry techniques, while contextualizing the important oximetry studies that have investigated the vascular theory behind glaucoma.